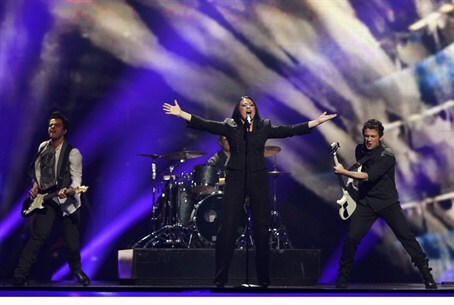 Terrorists were prevented from attacking during the Eurovision pop song competition in Azerbaijan last week. Terrorists were prevented from attacking during the Eurovision pop song competition in Azerbaijan last week. Among the hotels in Baku targeted by the terrorist cells was the JW Marriot Hotel, where the Israeli band, Izabo, was staying, as well as the Hilton Baku and Hotel Absheron. Izabo did not make it to the finals of the contest, and in part blamed the heightened security for its reduced performance. The group was placed under heavy guard by both local and Israeli security in order to protect its members from a possible attack by Iranian operatives. However, they were not informed of any unusual events, publicist Alon Amir told the Hebrew-language daily Yediot Acharonot. Security services captured 40 gang members in a sting that encompassed Baku, Ganja, Sumgayit and other regions around the country, authorities said. In several cases police became involved in shootouts, one of which resulted in the death of a terrorist. No identifying details were released, but the ministry said the terrorists were linked to rebels in the Dagestan region of Russia. Other targets included Azerbaijani President Ilham Aliyev, the Baku Crystal Hall, where the contest itself was held, police buildings, mosques and hotels used by foreigners. "The National Security Ministry chose to withhold information about neutralizing the terrorist group during the Eurovision competition, in order not to induce panic among citizens and foreign guests,” the statement said.